BeyondAutism is a charity dedicated to empowering people with autism to lead fuller lives through positive educational experiences, training for the people who work with them and support for their families and carers. We run BeyondAutism schools, Independent Special Schools, offering transformative specialist education for children and young adults with autism aged 4-19. 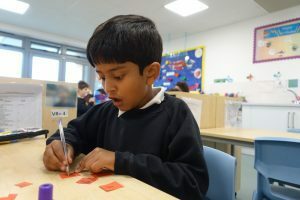 Our Early Years’ Service provides support for families and children aged 15 months – 5 years, while our Post-19 provision offers opportunities to young adults with autism, from the age of 19 up to 25 – preparing them for adulthood with a skillset that enables them to have choice and control. We also provide Outreach and Training services for parents, carers, professionals and mainstream schools – delivering life-changing outcomes in education settings and at home. We are experts in educating children and young adults with autism, applying the principles of Applied Behaviour Analysis (ABA) and Verbal Behaviour (VB) to teach students and arm them with the life skills they need to live as independent a life as possible.